Please note that the Է like in ԽԷՉ is pronounced like the E as in “pet/catch”, not like the Ե as in Yerevan. We will come back to that.. 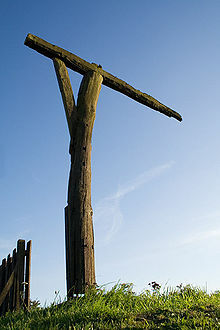 Wooden structure used as an instrument to execute those condemned to death, that eventually became a symbol of Christianity. Allegorically- grief, torture, onus/բեռ/burden. Of all the derivations below, some very obvious omissions. Likeռ խաչբառ/crossword, խաչեղբայր/khachegbayr/best man/ գաւոր/թագաւոր( he who holds the crown over the bride and groom), godfather. And AHHH ! a word that we see several times a day about traffic accidents խաչմերուկ/khachmerouk/cross road. I have no idea about the origin of the latter word. Is it related to մեռուկ, like all the deaths at crossroads? Like where Sevak died? Once again, please note that the Է as in ԽԷՉ is pronounced like the E as in “pet”, not like the Ե as in Yerevan. In the Armatakan Ajarian says that խԷչ/khech also means “side”. I had known this word, as attested by Hrachya, in the Marash, Zeytun and apparently Kharberd dialects it does mean “side”, however later he repents and says the word is in fact խԵչ spelled with the Ե/epsylon, not Է/eta. TBC- To be continued,. Շարունակելի: Where we see that the cross has not always been an instrument of death and torture, but also of life and comfort. Edited by Arpa, 07 August 2011 - 01:58 PM. Even if today we call that instrument “անդացուպ/antdatsoup”. A long time ago we lived next to a Greek convent, as the street urchins we were we often played there and enjoyed the fauna and flora just as the impressive above ground buildings. Beneath all that, hidden from the casual observer there was a grotto some 20 steps down into a dimly lit cavern. We had observed and puzzled by the site of some T-shaped wooden structures stacked against a wall. The Greek priest told us what they were, that they were “leaning sticks”. 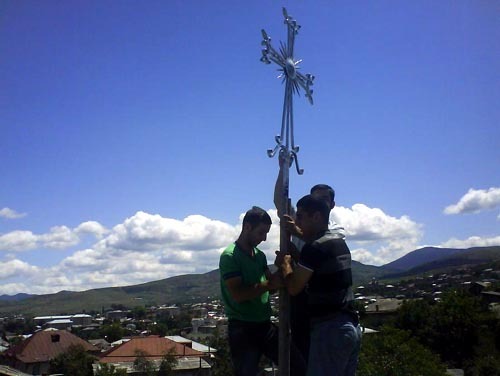 When at one time most churches had no pews and benches (just like many ancient Armenian churches) the congregation would be standing and for those old weary and tired those were used as means of comfort and a leaning post հենարան. Next we will see the difference between ԽԷՉ and ԽԵՉ. Some may question why I post the same pictures ywice, onc as HTML and as image. Because the image may not be visible to the casual reader but to the logged-in ones, besides. Eventually many HTML-s become obsolete. Edited by Arpa, 09 August 2011 - 03:46 PM. YEREVAN. – Armenia registered 1,206 car accidents, as of August 8 this year. As a result, 156 people died, 1,794 were injured, head of Traffic Police, Colonel Norik Sargsyan told at a press conference on Tuesday. The number of registered accidents exceeds same period of last year by 166. The number of victims killed in the accidents is larger by 8 compared to 2010, and the number of injured is up by 388 compared to same period of 2010. Another word that I noticed is խաչափայտ/khachapayt . 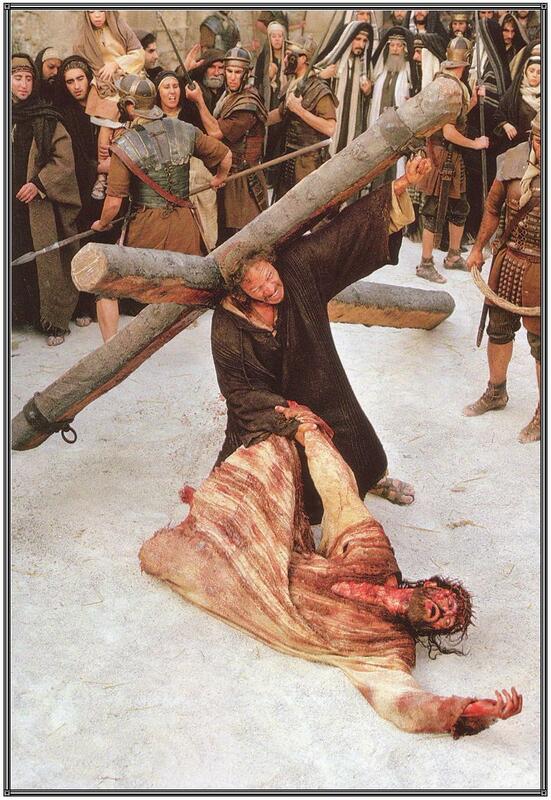 Once again I no idea what it means, is it wood of the cross or the cross of wood.. A piece of the cross like the pieces of wood from the Ark? It reminds me a word in the Marash dialect ԽԱՇՓԷՏ/ Խաշփայտ. A polished stick, a dowel if you will. In this case used to stir the խաշ/khash/laundry. At other times, perhaps the same day the stick would be used as a rolling pin to flatten the dough for բարակ հաց/barak hats. This will bring us back to. I had known this word to mean “side” in the Zeitun and other dialects. Ajarian confirms this, but then he has seconds thoughts and repents saying that the word is in fact ԽԵՉ,spelled with the Ե not Է. He invokes the word խեչափառ/crab**, which contrary to my first instinct that it walks sideways, it is because it has 8 side-arms. Խեչ/side and փառ/arm/թեւ: Consider փառուել/փառվել to hug, to embrace. wrap the arms around. **We also call that animal խեցգետին /khetsgetin. We will see why. Edited by Arpa, 09 August 2011 - 06:55 PM.